Historic Northport is a quaint, thriving, picture postcard, waterfront village settled in the early 1600s. 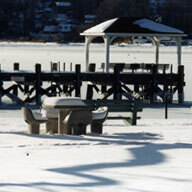 Northport is located in Suffolk County in a part of the Island's famed "Gold Coast" on Long Island's North Shore. This picturesque sheltered deepwater harbor is a popular rendezvous for local and visiting mariners, who enjoy this safe anchorage and the charm of this lovely North Shore village. Northport's world famous Main Street downtown shopping area offers visitors boutique shopping and a magnificent view of the town's scenic harbor. Beautifully restored Victorian and 18th Century homesteads, shops and storefronts are found throughout the town of Northport.